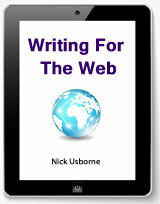 Monday Spark: Why working is like sleeping [VIDEO] - Writing for the web - online copywriting and content writing. Working is like sleeping? Absolutely. I wish I could take credit for the insight, but I can’t. This is one of the observations shared by Jason Fried in the video below. Incidentally, Jason is one of the people I really pay attention to when thinking about business. He is one of the founders of 37Signals.com. He is also the co-author of Rework , one of my favorite business books. And he is the co-author of a second book, Remote: Office Not Required , which I have pre-ordered and is slated for publication later this year. In the video he makes a number of points about getting work done. But the point I want to share with you is the one he makes about comparing sleep to work. When you nod off, you don’t instantly arrive in a state of deep, blissful, restorative sleep. You move through different stages of sleep. And to get to the really good part, you have to move through the parts that precede it. And as Jason points out, if you wake up several times during the night, for whatever reason, you can’t immediately get back to that place of deep restorative sleep. You have to go down through all the stages again. In other words, interrupted sleep is not very good sleep. You lose a lot more than just the few minutes when you woke up. It’s the same with work. Jason points out how in offices people are constantly interrupted by managers and meetings. Again, it not just the time of the interruption that is lost. What is also lost is the time it takes for everyone to get back into focus on their tasks, sink down through various levels of concentration and finally get to the point when they are doing good, meaningful work. Interruptions are poison. A one minute interruption can cost 15 minutes or more in getting back to that state of flow. For you and me, as freelancers working from home, interruptions by co-workers are not a problem. But we can and do voluntarily interrupt ourselves with frivolous distractions – whether that be checking Facebook or going to the kitchen to grab a cookie. And this why, as any of my coaching clients will tell you, I am a fierce proponent of creating blocks of time during your day when you commit to zero interruptions. Myself, I carve out a two hour block in the morning and two hour block in the afternoon. During these periods I sink into work. No phone, no email, no social media, and no cookies. In the same way that you only get a great night’s sleep when it is uninterrupted, you’ll also only do good work when it’s uninterrupted. Try my zero interruption approach, and let me know how it works for you. When quality content serves no purpose at all. 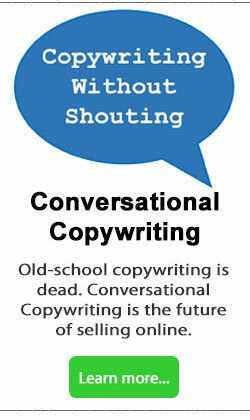 The more skills you have in your online copywriting toolbox, the greater your value to your clients. Brilliant teaching here, Nick. Timely. Over the weekend, I just happened to have started making some adjustments with my daily routines and letting go of some things that were sucking my time away and draining energy. 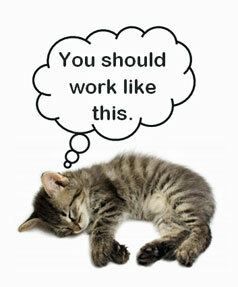 This analogy comparing work to sleep is fantastic. As a freelance copywriter, I appreciate your Monday sparks. I consider you a mentor from afar. Hope to meet you one day. Maybe at an AWAI bootcamp… or another venue. Thanks again. Thanks for the feedback Matthew. And yes, if you ever make it to one of those AWAI events, chances are that I’ll be there. In the meantime, keep saying no to distractions and interruptions! Nick, I totally agree with the analogy of work being like sleep. The connections and similarities between the two states go on and on. I would argue that freelancers are those who thrive when they take control over when they both sleep and work. They tend to be people who struggle when they are expected to conform to the ‘fixed shift’ system that business and industry tries to enforce. After all, being forced to sleep when you are not tired is just as unrewarding as trying to work when you are wildly distracted. As a freelance writer, I work from inside my memory but my friend who is a freelance welder works in ‘real time’. Whereas I need to access what I can recall before I can write, he sparks up his torch and is then immediately held hostage to the flow of molten metal. Both of us embrace solitude to get our best results since that is when we access our highest level of concentration. Both of us hate stopping just because everyone else wants to go home or starting simply because it is the morning. Both of us pump out far more productivity and get much better sleep than we ever did as employees. It sometimes seems as if there is an inverse relationship between the size of a business and the efficiency of its workforce. Intense work makes us tired and deep sleep prepares us for work. Mess with either and the wheels start to fall off the cart. is the establishment that hired you in the first place. without a moment’s guilt. My “workday” is done. results, not protocol or how much REM sleep we get. 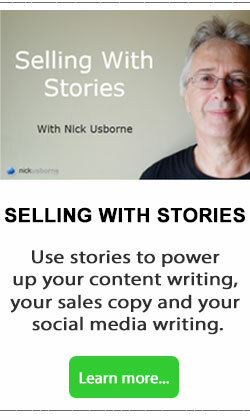 Thanks for a great topic and for sharing the video, Nick. “Loop” and Michael… What a great pair of comments. I agree that we can be more productive when working alone at home…and yes, we can adjust our routines to fit the times that work best for us. The biggest challenge I hear about it when that elusive place of focus is hard to tie down…when freelancers fall for voluntary distractions as a way to disguise their inability to stay focused on their work. Staying focused is hard, whether the distractions come from outside or inside.